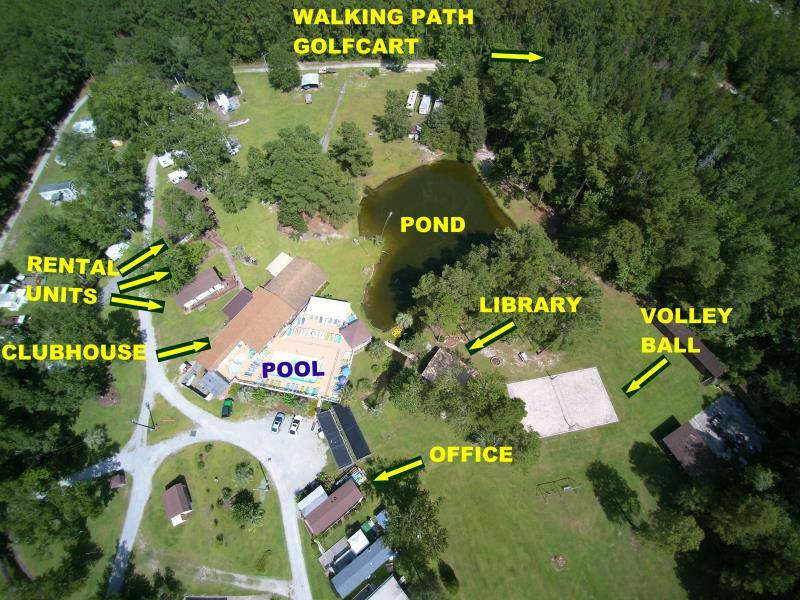 Our facilities are located on a thirty five acre park with wooded nature trails and a one acre pond with a swimming pool, hot tub and a 30 X 100 heated and air conditioned clubhouse that is open year 'round. 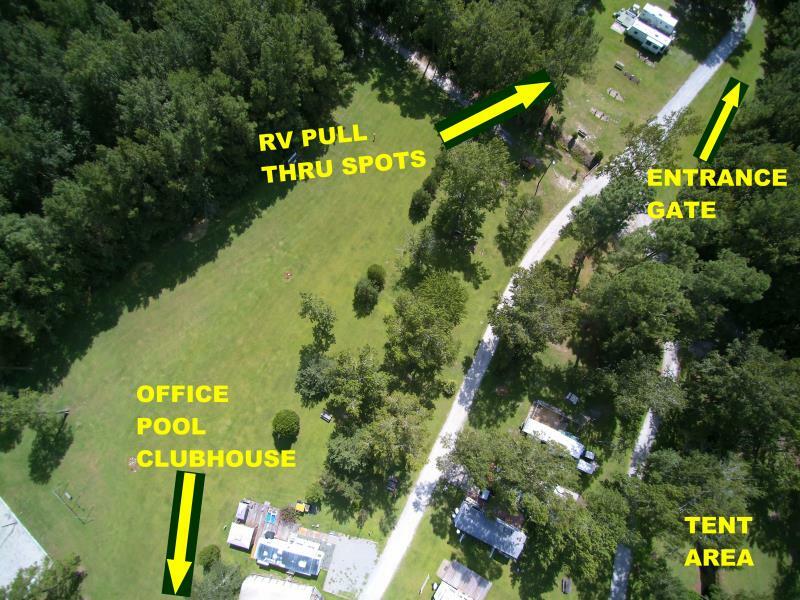 Whispering Pines offers Wifi and fully furnished spacious and air conditioned Park Model RV rentals that sleeps two to six with living room, fully equipped kitchen, dining area, two bedrooms, shower, and sun decks. We also have RV spaces with full hook ups and tent campsites with and without electricity. Just nine miles north of the South Carolina state line, Whispering Pines is near the most popular southeastern vacation destination, Myrtle Beach and the Grand Strand. For decades, South Carolina's Grand Strand has been a Mecca for vacationers and retirees looking for that great escape. 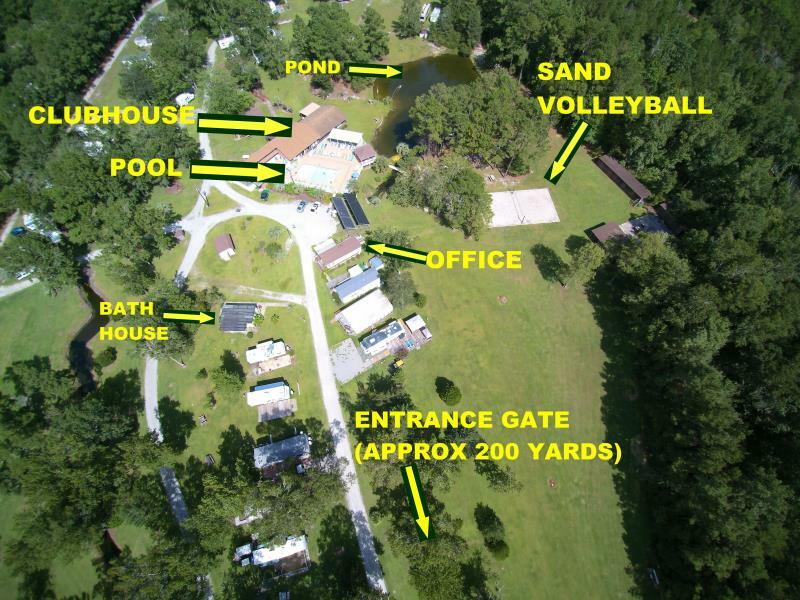 Whispering Pines Resort is positioned in a central location to stores, shops, entertainment and just minutes from the beach and Calabash. Away from everything, but near it all. Ask about our weekly, monthly and yearly rates. See the Rates Page for accommodations, membership and reservations information. 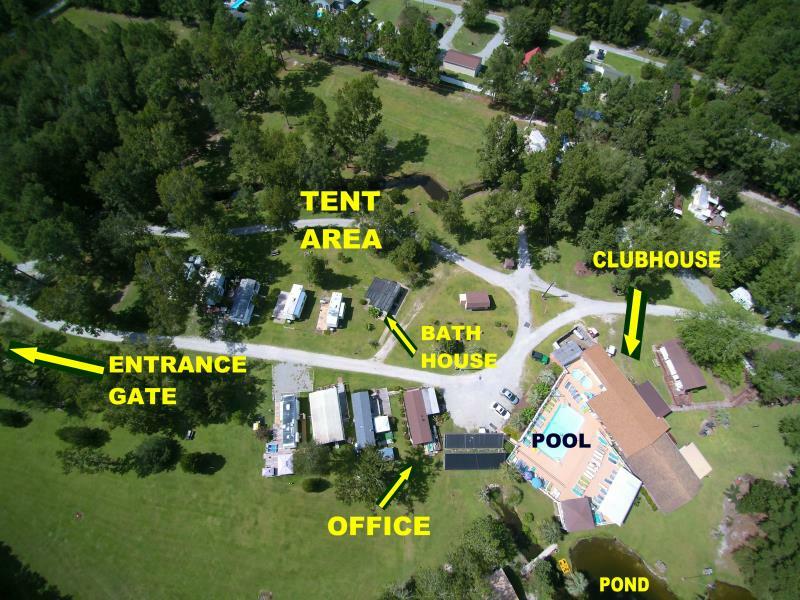 For a memorable experience come and enjoy rest and relaxation combined with Southern hospitality at one of the South's finest nudist resorts and campground. There is a dance every Saturday night at 9 pm and song requests are always welcomed! We have horse shoe pits and shuffle board behind the office. Lawn dice, Bocce ball and disc for Disc Golf available in the office. Corn hole is also available. Pedal Carts are available at the office and Water slide is open when an attendant is present. No glass is allowed in the pool deck area. NO imaging devices are allowed. IF this becomes evident, you will be asked to leave. If you have any questions, please ask John or Jill or any one of our members.. they are happy to help! !